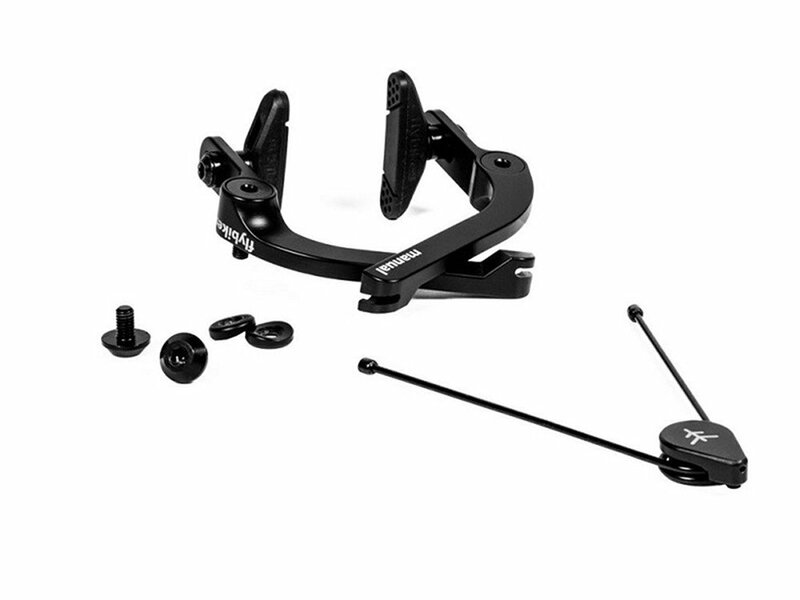 The Flybikes "Manual Springhanger" Brake is an innovation, which have been tested and perfected by Flybikes for over two years. This is the infamous "Spring Hanger" braking system which uses the cable hanger as spring for the brake. It means there is no individual springs in the brake arms, which you have to specially adjust. The spring tension can be easily adjusted by bending the spring until the desired voltage is reached. For less friction on the brake, the inner part of the Flybikes "Manual Springhanger" Brake is a kevlar-ring.